Tuesday 15th April 2014 saw our open evening in Romiley. Below are some pictures from the event . . . 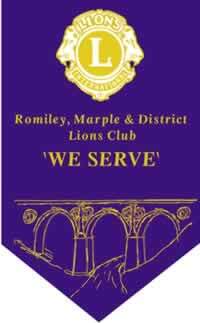 The Lions have donated £250 towards the Marple Skateboard Development Project. 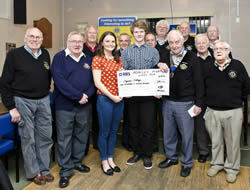 Jason from Recon Cycles is seen receiving the cheque from Lion President Keith Royle and other Lions Club Members. 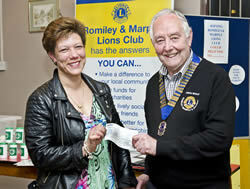 and finally local resident Sam Naidoo was sponsored for a 'Sky Dive' for Kidney Research UK.